Data visualisation platform Visual.ly has today launched a service that allows anyone to create and share infographics with no effort. 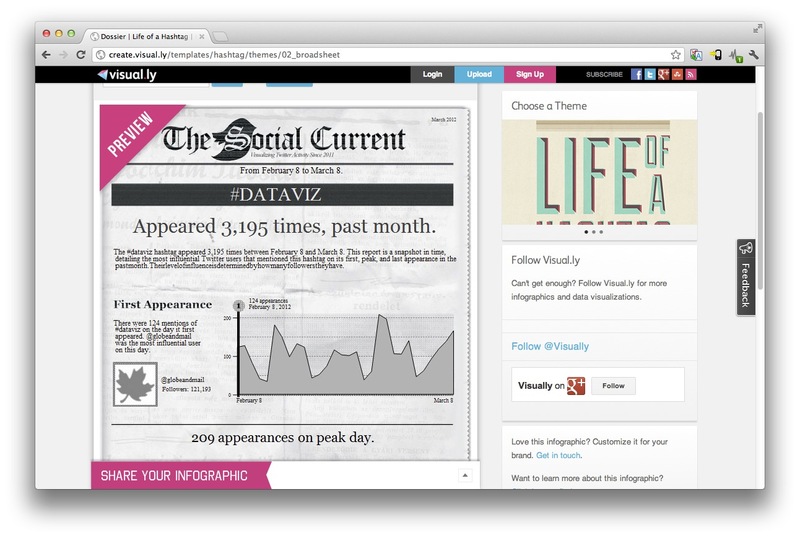 Visual.ly Create lets you choose from a range of infographics based around Twitter and Facebook data. Five visualizations are available at launch. For example, ‘Facebook Monster’ analyses your Facebook account to create a graphic depicting stats about your friends, your most popular photos and the like. ‘Life of a Hashtag’ shows information about the popularity of any Twitter hashtag you like, with a choice of templates allowing for some flexibility in presentation. 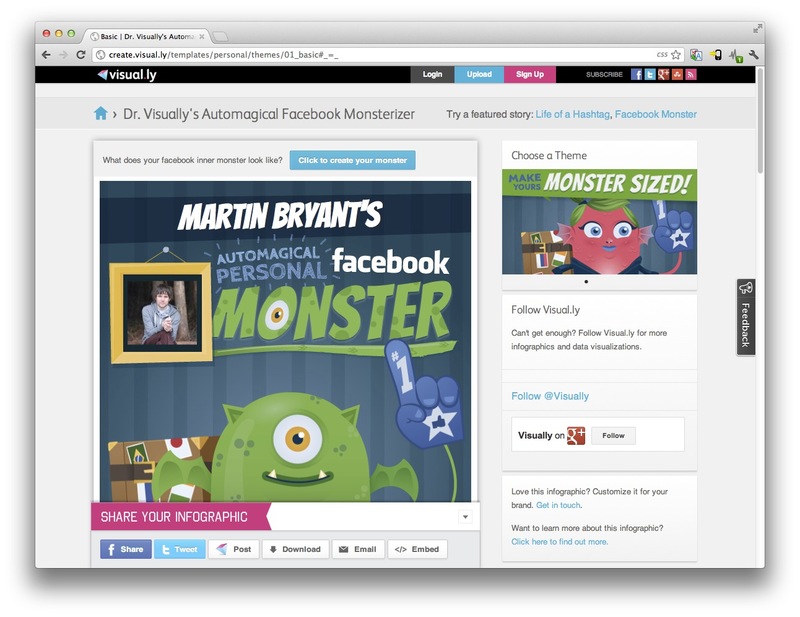 Visual.ly launched in July 2011 as a place for data visualizers to share their work and connect with those who want to commercialize them. Since then, the San Francisco startup says that it has become home to more than 11,000 infographics, 4,000 designers, and welcomed around 2 million visitors per month. More than 500,000 people have used Twitter Visualizer so far, proving that there’s an audience for easily customizable infographics. The new Create section of the site will act as a home to a growing number of such tools, with new data sources beyond Twitter and Facebook, and themes like sports, politics and food promised for the future. While the novelty of infographics has undoubtedly worn off, their popularity remains intact as an accessible way of telling stories through data. We covered DataAppeal late last year, and you can expect to see more tools for easy creation of data visualisations to emerge from other players in the space this year.